Evan Naylor is a CERTIFIED FINANCIAL PLANNER™ recipient who brings integrity, knowledge and excellent client care skills to the team. Prior to joining Naylor Wealth Management Insurance and Financial Services, Evan taught math and personal finance at an inner city school in Kansas City, Missouri as part of the Teach for America program. This experience taught him the importance of giving back to the community in order to create better opportunities for future generations. In 2009 Evan graduated from the Marriott School of Management at Brigham Young University with a degree in Business Management and Finance. He currently holds FINRA Series 7 and Series 66 securities registrations and is a licensed Life and Health agent. 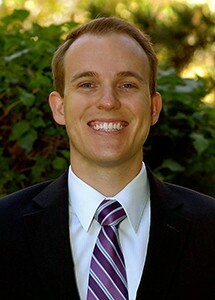 Evan resides in Poway, California with his wife and two children. Evan Naylor is a registered representative of and offers securities, investment advisory and financial planning services through MML Investors Services, LLC, Member SIPC. 4275 Executive Square, Suite 400, La Jolla, CA. 92037-1250 (858)558-7000. Naylor Wealth Management Insurance and Financial Services is not a subsidiary or affiliate of MML Investors Services, LLC or its affiliated companies.